What Is Wen Haircare Cleansing Conditioner? This review of Wen Cleansing Conditioner is from 2010. Before you read my original review, I'd like to highlight something I've learned since using Wen for a short period of time back in 2010. Wen haircare has allegedly caused many women to lose their hair. So many women have experienced hair loss that a class action lawsuit has been filed against Wen. Besides that, the chemical makeup of Wen, including a ton of wax and fillers that only make your hair feel strong and healthy, but in reality cause breakage and damage, in the long run, leave much to be desired. Please do your research before purchasing Wen Cleansing Conditioner. As with many products on the market, if it sounds too good to be true, it just might be. According to their website and infomercial, Wen® Cleansing Conditioner is a new and different concept in cleansing and caring for your hair. A single product is designed to take the place of your shampoo, conditioner, deep conditioner, detangler and leave-in conditioner. The sulfate free, detergent free formula cleanses hair without lathering or suds of any kind, and it is designed to retain your hair and scalp's natural oils. Your hair is left with sheen, moisture, manageability and better color retention. But does it live up to these promises? 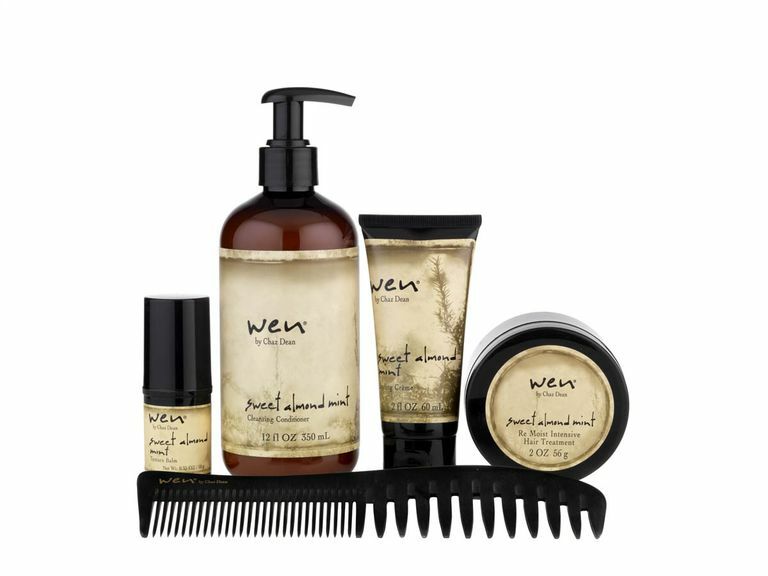 Everyone's hair will respond a little differently to any hair product, and the same holds true for Wen®. My hair seems to fit the Wen® profile perfectly. My hair is naturally wavy, and at the time of this article, a little frizzy and dry from the high lift color I used at the time. My hair needs help with conditioning, frizz, body, and manageability. My first reaction to Wen® was, "this is weird". It's not natural to "wash" your hair without suds. 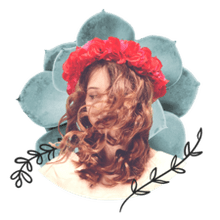 I'm quite familiar with sulfate-free shampoo, and while they typically produce less of a "soapy" feeling, they are still very much shampoo-like and therefore I feel like my hair is "clean". The other difference that I had a bit of trouble adjusting to was the amount of product required to cleanse the hair. I'm used to the "less is more" theory in properly shampooing my hair, and Wen® requires a rather obscene amount of product to work its magic. Speaking of magic, I wasn't sure that magic was exactly the word I'd use to describe Wen® initially. I can't say that I was unimpressed, but I didn't have this feeling of utter amazement either. My hair did feel clean after initially using the cleansing conditioner, which frankly surprised me, given that there were no suds. My hair also felt soft and properly conditioned, much the way it does when I use my regular shampoo and conditioner. I fell in love with Wen® Cleansing Conditioner after about a week of using the product. After this amount of time, I found my hair to be noticeably softer, less frizzy, and easier to style. My hair had great shine, moisture. But, about a week later I fell quickly out of love with Wen®. Suddenly my hair felt greasy, weighed down, and kind of "icky", for lack of a better term. My love affair was given a second wind, however, after a good shampooing with a good clarifying shampoo and then returning to Wen® Cleansing Conditioner. Before I finished my trial of Wen®, I talked quite extensively about my use of the product on social media. One of my friends emailed me shortly thereafter and said, "Look, I can't wait for your review. All I want to know was would you buy it?" Initially, I said yes, I would, but I would not use the product exclusively as my one and only shampoo/cleansing product. I thought I would like to have the product on hand to use as a regular part of my healthy hair routine, but more as a deep conditioner than a cleanser. However, after weighing my experiences with those of my clients that shared their Wen® stories, and others who have reviewed Wen®, I have mixed feelings. Many have reported awful results, including hair loss after using WEN. Many more people have reported that they felt ripped off when they ordered from Wen® directly and were often charged double, not given a refund when asked, or ignored when they tried to cancel their "subscription". After considering all this information, I would conclude the Wen® cleansing conditioner is best served for people with waves/curls, dry hair tendencies, or thick/coarse hair. The finer, thinner, and straighter hair girls didn't have as positive an experience. But, you don't have to completely take my word for it, check out reviews from other people that tried Wen®. Disclosure: The company provided free access to this product for review purposes. For more information, please see our Ethics Policy.